What we have established thus far in the process of ‘Character-Creation’, as walked in the previous posts from the The First Character-Creation – is how we within the initial-moment of character-creation, create characters from a starting-point of reaction/energy-experience, whether negative/bad or positive/good. Where, this process of ‘reaction’ in the initial instance of creating characters first started in our Minds, in our relationship to our Parents’ Minds/Characters within our Unconscious/Physical-Mind. Where, according to our Parents’ Minds/Characters, we’ll choose/decide which characters we’ll use or not use to create/construct our own ‘personalized characters/personalities’. With this ‘choosing’ dependent on how our Beingness react to our Parents’ Minds/Characters within our Unconscious/Physical-Mind. Within this, we have walked how we use our Physical-Mind Eyes to accordingly accumulate Memories into and as our Unconscious/Physical-Mind where Consciousness utilize particular-specific Memories for our processes of character creation/construction in ourselves/the Mind. Thus, we now have the primary constructs/processes involved regarding ‘character-creation’ within our Minds – reactions and memories. And how we use our Physical-Mind Eyes in the process of Memory accumulations/manifestations, and reactions to determine the nature of our characters within the polarities of either good/positive or bad/negative dependent on our relationship, interaction and approach to/towards our external environment, and whether a good/positive reaction/character or bad/negative reaction/character would serve our interest/survival/experience of the search/seeking of the more of ourselves/here the Most within and during our relationship, interaction and participation within and as our external environment/world. I forgive myself that I haven’t accepted and allowed myself to, in equality and oneness with and as life, energy and substance, the mind and the physical, from the beginning to now – seen, realised and understood the extent to which ‘who I am’ is in fact existent from and of Memory. With my Mind an automated, manifested Memory-database that I use to create/manifest me into and as characters from Memories. And so all my characters of me in my Mind: is in fact Memory – me in my relationship to the physical-body and so this physical-existence, being/becoming a ‘Living/Functioning’ Memory. All the while missing the reality of HERE in every moment of Breath as I am so separated from and of my physical-body, with no awareness in equality and oneness with my physical, the physical-reality that is in fact HERE; as all my attention is existent/diverted/preoccupied within my Physical-Mind eyes, searching/seeking for the optimum physical-experience that I can store/manifest within my Unconscious/Physical-Mind as a Memory to use to construct/create my Characters to embody me into and as a ‘Living/Functioning’-Memory – Memory made Flesh. With my Physical-Mind Eyes Possessed with the search/seeking for the MORE of me/here as characters/energy experiences, I do not in fact SEE HERE in equality and oneness with my physical/this physical-existence, and only use the Memories that manifest within my Unconscious/Physical-Mind that can be/become potential characters / potential Living/Functioning Memories as me, as I come to embody the characters of memory I create/construct from Memory within myself. I forgive myself that I haven’t accepted and allowed myself to, from the beginning to now, in equality and oneness with life, energy and substance, the mind and the physical – seen, realised and understood – why and how in and on this Earth/Physical-Existence – with SO MANY HUMAN BEINGS: that, if we were to stand-up/stand-together and really within ourselves align our relationship to ourselves/all within working together to create/manifest this World into an existence that will assist/support all equally as one; we’d change our lives and the generations to come. But instead, the more Humans come into this world/on this Earth – within and as the starting-point of emerging/creating ‘who we are’ from Memory into Characters within the Mind/Illusion, existing as ‘living/functioning Memories made flesh’ that come to direct, control, influence and determine who we are and what/how we live – only searching/seeking the fulfilment of self/energy experiences within self-interest/survival: the more this physical-existence/earth deteriorate. Because, we have no equal and one relationship with ourselves, the physical-body and so this physical-existence, but only approach it/live in it from the starting-point of reaction; to create/manifest memories, to create/manifest characters to become Living-Memories – we have no relationship to our physical-body/this physical existence or anything/anyone within it, but REACTION. That within that very reaction-relationship to/towards everything/everyone, only serves the interest/survival/experience of ourselves within our own Minds. Where, I forgive myself that I haven’t accepted and allowed myself to consider, for example that it’s not ‘overpopulation’ of humanity that is the problem, but maybe should consider that we’re sending ourselves as humanity on this Earth, more potential human beings to stand-up/stand-together for global change that would be BEST FOR ALL. More man/woman power to stand-up/stand-together for ourselves/for all and align ourselves into manifesting this world that would really assist/support all equally as one. Because, if we’d all stand together we can align/restructure and direct ourselves/all in this world into and as an equal and one functioning whole, where it’s thus not ‘overpopulation’ that’s the problem but that it’s in fact who we are within ourselves in our relationship to ourselves and all, and so also the World-System and its relationship to ourselves and all that’s the problem. If we can start here – with ourselves, and so with the change of the World-System; we’re manifesting an opportunity for change within humanity and so this world as a whole. But instead, we’ve individually and together only come to exist as Living-Memories in and as our Minds, using/abusing the TIME/OPPORTUNITY we have in this world/on this earth in every moment of breath, possessed within our Physical-Mind Eyes, existing in a relationship of reaction of energy experience to/towards everything/everyone, where this reaction-relationship serve only the interest of the Mind in searching/seeking the MORE of itself/here, in using this reaction-relationship to create/manifest memories and become a Living Memory/Illusion. Spending so much time on creating Illusions; when we have infinite potential on this Earth/in this Physical Existence right here, to change/transform this experience/living of ourselves on this Earth with Humanity in actually creating/manifesting Life – that is real, tangible and substantial and will stand/remain for generations to come. Where the consequence is clearly, physically, visibly showing regarding our attention manifested into Illusion-Creation as the Mind/Consciousness within the state/condition of humanity/this world being neglected/ignored/disregarded. And that it’s time to step out of Memory/Illusion and into REALITY to in fact become REAL, here in this physical body and so our actual PHYSICAL LIVING; where we commit ourselves/lives to in fact contribute to what is best for all. And so when/as we leave this life/world, what will remain of ourselves is not a memory – but a physical-remembrance/creation/process of ourselves that will gift life to those coming into this world as ourselves, equally as one as self gifted life to self, from existing as Illusion, to birthing self into and as physical-living. ME-MO-R-Y: with ME - representing the Self/I/ ‘who I am’. MO - representing Moment as what would be the moment within and between the eye-blinks, where self is ‘present’ in the moment, but not HERE in the moment in equality and oneness with and as Breath, as one is possessed within the Physical-Mind Eyes that will within that possessing only process the Moment according to whether it would serve the process of memory-accumulation for character-creation. R - representing the Reverse and Y - representing the manifestation of self in the creation/manifestation of Time within the Mind as past, the top left leg of the Y, present as the vertical standing-point of the Y and future as the top right leg of the Y. Thus, as MEMORY, we’re R reversing the MO as moment in the physical, into and as our Minds into and as ME/me’s as memory-manifestations – reversing as taking an actual physical-moment of ourselves in reality and manifesting it/ourselves into an illusion/character as memory in the Mind. Where in this moment we’re not standing as HERE in equality and oneness with and as ourselves, the physical and the moment, but standing within and as Y as TIME as past, present and future of and as the Mind. Where in the Present/Moment – in/between the eye-blinks, we create the Past as we take that present moment, manifesting it into and as a memory that becomes the past of that present moment. And at the same time take that present-to-past moment, that would become our future, as that memory/moment will be used to create/construct a character that we will come to physically embody/live-out. And so: the entire interrelationship between past, present and future – still remains within and as the PAST as MEMORY within ourselves, always in fact creating the future from and of the past in the present WITHIN OURSELVES. Never living HERE in actual real physical reality. And thus, this interrelationship between the past, present and future as it exist within us as the Y of and as the Memory that we are, we create/manifest our ME’s as characters from and of Memories of MO as moments in actual physical reality that we R reverse into illusion, becoming the past to create our future from and of the past as memory as a character we will eventually come to live-out/embody. In this, I forgive myself that I haven’t accepted and allowed myself to see, realise and understand – how; in this process of me existing as Memory and so creating Memory – where the very Memory I create is in its very manifestation representing a moment of me as I reversed a physical-moment into illusion/memory in and as and from which I would create a character/personality. With the very memory itself representing the past, present and future, as it's in its very manifestation the past, of a present moment, that becomes my future as future character/personality creation as me. That in this process of Memory creating Memory – what I am in fact doing, is creating illusions of me from reactions to/towards my physical-body/physical-environment; illusions as memory constructing my illusionary Reality as the Mind of Energy as an entire construction/creation of MEMORIES. 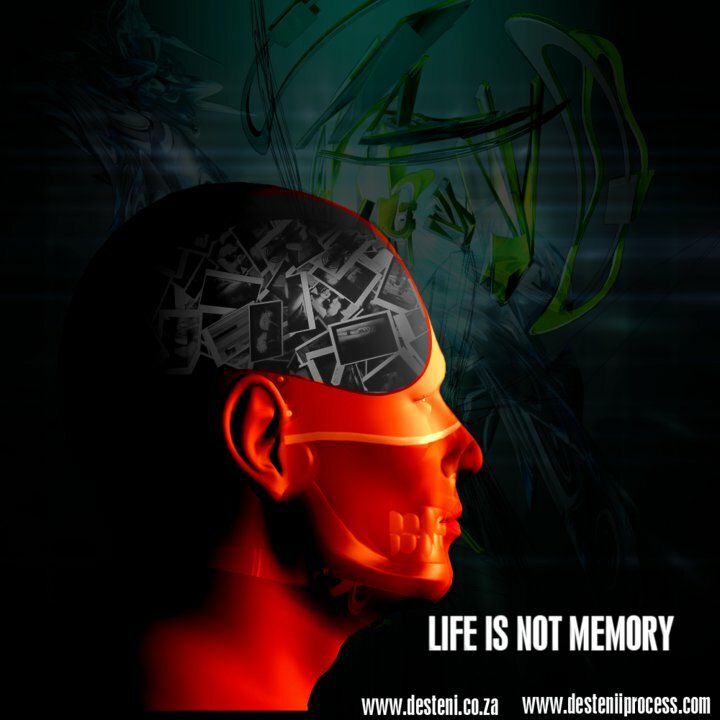 Where we’ve certainly become sufficient at creating Memories as Illusion in the Mind, but have in no way throughout time in fact learned what it means to Create Life/Live in this Physical-Existence as a whole. That if we would spend as much time with stopping memory-creations; and aligning ourselves into physical-living as we do within our processes of memory/illusion creations: we’d become a humanity changed. But instead have accepted and allowed memories to represent ‘who we are’ as illusions, so many memories as characters saturating the more of ourselves/here as characters/energy experiences, instead of living HERE with ourselves in equality and oneness with the physical body and this physical existence; establishing communication/relationships with and as what is REAL HERE, living in REALITY and with REALITY, instead of creating consequence as Illusion-manifest that only harm, destroy and annihilate what is really in fact REAL here. So, the question remain: are you going to only be a Memory, that will surely cease to exist as memory – here and in the hereafter, or will you stand with and as and for life, in contributing to a world/existence in the here and the hereafter; where what you contribute will remain as you in equality and oneness in the here and hereafter in providing an opportunity for life/living for generations to come as self on this earth/into this existence. Who are you – Illusion or Life in the process of birthing Life to self as all in the physical? I commit myself to show – how we as human beings, as living memories/characters have throughout the history of human civilization, accepted and allowed ourselves to in the within and without of ourselves: be controlled by Memories that has become ‘who we are’ as all the various characters of memory we’ve created/manifested within ourselves, within and from reaction through our Physical-Mind eyes, and have only evolved in the ability to create and manage Illusion within the Mind; which each individually have exalted into and as the Superiority over and of the physical-body and so this physical-existence. Equally as one as we have created/manifested the very World-System of Money – constructed/manifested from and of Memory as a Physical-Memory machine that has come to control as the authority/superiority over and of this Physical-Existence/Humanity. Where, I commit myself to show with the World-System of Money as Physical-Memory machine, existent and constructed and manifested from, of and as Memory and so exist as Memory. With this physical-existence that continued evolving/moving physically throughout time in and as HERE, we now have a World-System of Money existent of the past, controlling the present and determining its future and the future of humanity/this physical-existence from and of the starting-point of the past. Which has created/manifested the consequences to humanity/this physical-existence as the World-System of Money is not aligned with HERE, as humanity and this physical-existence in equality and oneness. And so it moved out of sync/alignment with the Here of Humanity/this Physical-Existence, functioning from the past, in the present and recreating the past as the future as the World-System function within the principle of ‘problem-reaction-solution’ that only serve its own interest/survival as being the problem, reacting to this physical-existence/humanity to come up with a solution to guard/protect the more of itself/here as the evolution of only the World-System. Which is why/how there has been no change in this World; as the very problem is the starting-point of the World-System; and with changing the relationship equation of problem-reaction-solution, to problem-responsibility-directive-principle as with the Equal Money System that will be aligned with HERE/what’s best for all, in and as the equality and oneness with humanity/this physical existence, so that as beings come and go, the HERE will always be stable and give each/all in this world an equal and one opportunity to life/living. I commit myself to show – how we as human beings walking this Earth, is and has become no different to the Demons that was found within the demon-dimension of the Heaven-Existence/Hereafter. As with the journeys into the Heaven-Existence with and through the Portal, we found Demons to simply be Beings that crossed-over and got trapped within and as Memories of their lives on Earth, and mostly only One Memory/One Traumatic Memory with which they became possessed as they crossed-over. With no other dimensional beings as guides/angels/archangels that in any way assisted/supported them, but left the beings in and as their Memory-Possession, haunted by their own Past/Memory and so became the Haunted as Demons. Thus, with Demons essentially existing as Beings – trapped in/as One Memory Possession, human beings is/has been no different – if not even far worse than the Demons in the Demon-Dimension. Because we’re possessed by/through multiple memories, from which we create/construct multiple characters in our Minds existent as Living-Memories, haunted/possessed by our own past as our own Past, becoming the haunted in this world/reality/earth, haunting this world with our individual past, our collective past and so the Physical-Memory of this World-System as past-manifest. Demeaned as humans, equally as one as the Demons – where we DEgraded/devalued the MEANing of the physical, this physical-existence in accepting and allowing ourselves to make the Illusion as Memory MORE than the actual physical/physical-reality and accordingly now face/experience the consequences of this, within ourselves as humanity and this physical existence as a whole. Where, equally as one as the apparent ‘angels, guides and archangels’ did in no way assist/support the Demons in the demon-dimension, so do no human being in any way assist/support the demons as pasts of and as themselves/each other/this World-System as a whole as we’re all possessed within and as Memories, only REACTING to everything/everyone, instead of considering the solution as what’s best for all in equality and oneness HERE. I commit myself to show – why and how ‘who we are’ is/always has been Illusion, existent from and of the past as Memory that we’ve ‘made real / alive’ through and as Energy/Energy-Experience, where we created an entire internal reality of Illusion, existent as memories and energy; dependent on and from the actual REAL reality as the physical as energy consume physicality for its continued survival/existence. Which within this manifest the World-System of Money in and as the equal and one manifestation of the realm of Illusion as the World-System of Money/Consumerism is valued as ‘Life’ that is dependent on this actual REAL physical world as Money consume Physicality to serve only itself/its own evolution/survival. And thus, I commit myself to show why and how – the process is Birthing Life from the Physical, which is birthing ourselves from the Physical from where we were supposed to have started from the beginning; but instead de-meaned REALITY/the physical by making Energy/Money as ILLUSION more than REALITY which is/has been manifesting the internal and external consequences we face today. Time to stop time…the past-present-future equation of memory, energy and illusion – and align ourselves with HERE as breath in walking the process of standing equal-to and one-with what is REAL as the physical-body and this physical existence and really start the actual process of creation, gifting life to ourselves and so all, as we start taking responsibility for this physical world/existence that we’ve for so long…too long abused to try/attempt to keep the Illusion ‘alive’.